Stockton Town fell to their first defeat in five as succumbed to a 3-2 defeat on the road to Ashington. 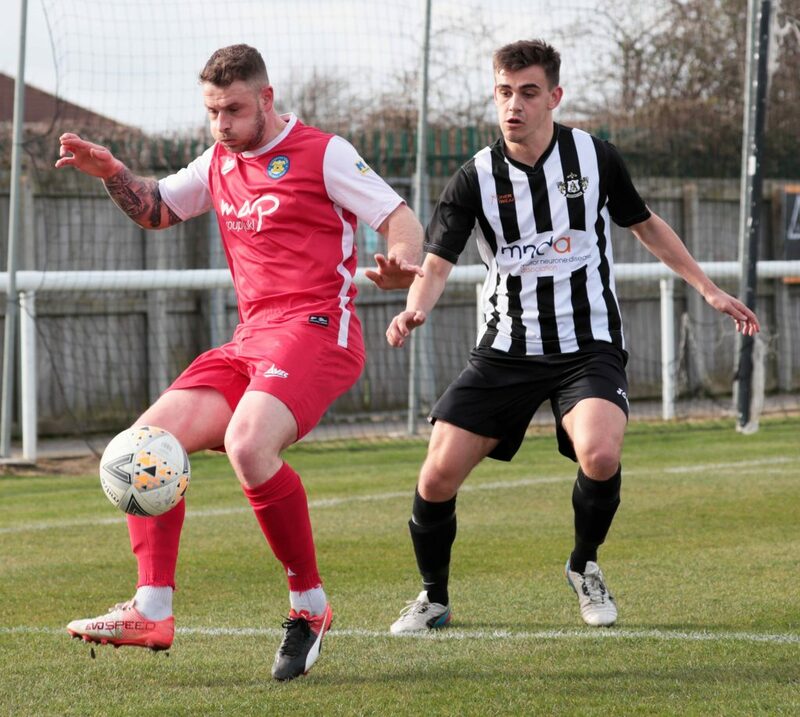 The Anchors failed to build on their excellent midweek performance and turned in one of their poorer displays of the season that ultimately saw them head back down the A19 empty handed. 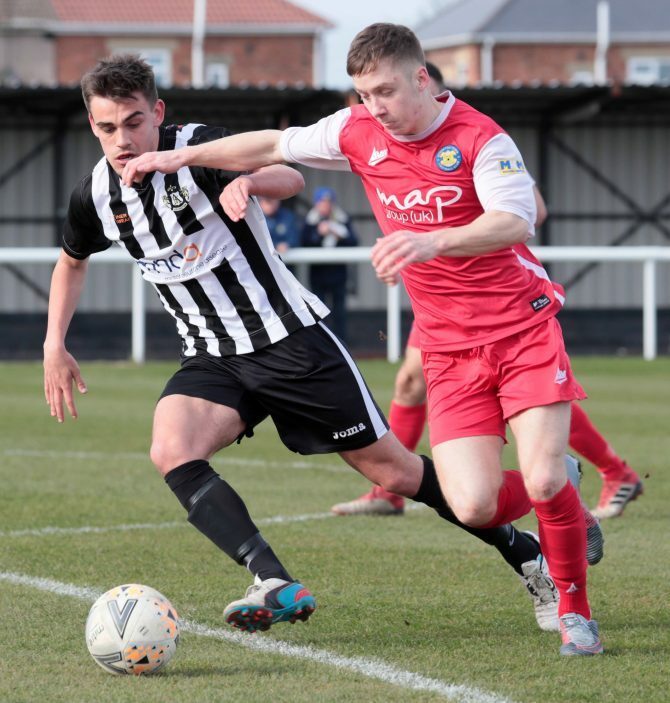 Stockton were sluggish from the start and Ashington deservedly led after eight minutes. Ben Sampson picked up the ball on the right and crossed into the area. It was met by the head of Thomas Kalthoeber and he sent his effort beyond Arthur and into the net. The lead was doubled on sixteen minutes. 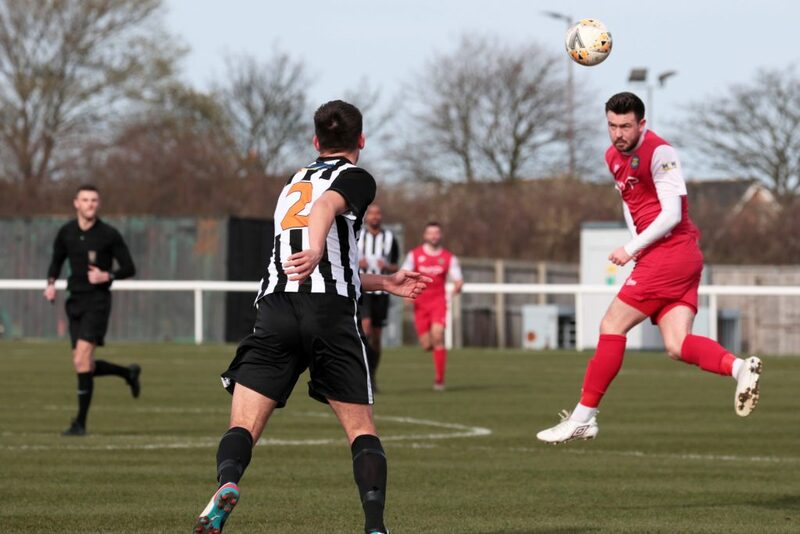 After the referee had awarded a free kick on the edge of the Stockton area, Ashington skipper Wayne Buchanan stepped up and beat Arthur to punish the Anchors further. Stockton would grow more into the game and were denied by the woodwork twice. First, Max Craggs sent in a trademark free kick that rebounded off the upright. After that, from another Craggs free kick, the ball found its way to Adam Nicholson. The Anchors captain knew little about it but the ball cannoned of him before striking the post. Michael Dunwell’s side looked to have got back in the game just a minute before half time. Ashington could only half clear a corner and Stockton worked the ball back into the area. It once again fell for Nicholson who this time drilled home a low effort into the net. 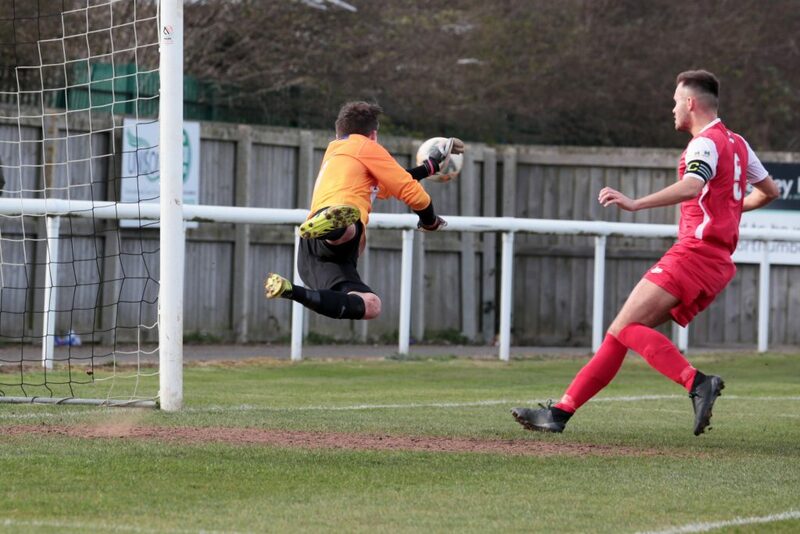 The Anchors would shoot themselves in the foot just moments later as they allowed Ashington to regain their two-goal lead. 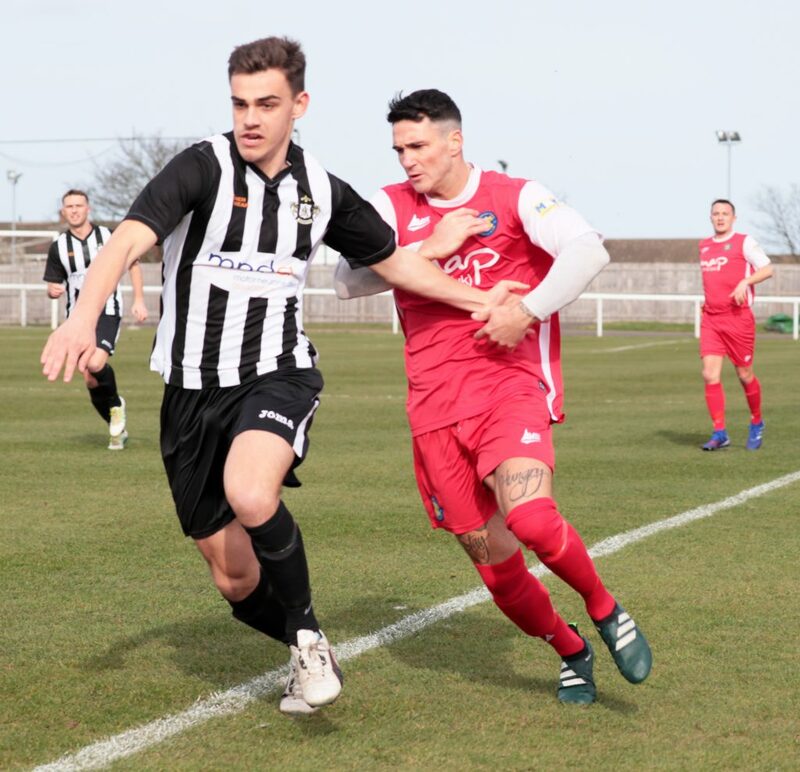 Kalthoeber was again the sharpest in the area as he beat the onrushing Arthur to the ball to prod home his second and Ashington’s third just when Stockton thought they had a route back into the game. Stockton would have to wait until just after the hour mark to get back within one and again it was Nicholson getting his side back in the game. A long ball from Craggs found the head of the Stockton skipper and he in turn found the corner of the net. Stockton strived for an equaliser and thought they might have had it as Nicholson had his hat-trick in the net only to be ruled out for offside. The best chance fell on the head of Craggs but he couldn’t control a free header from Pete Bulmer’s right wing cross. It was a frustrating afternoon for Stockton who will now have to dust themselves down ahead of a cup semi final on Wednesday night. Full time: Ashington 3-2 Stockton Town.